Since the age of 21, Paul McCartney has lived one of the ultimate rock 'n' roll lives played out on the most public of stages. Now Paul's story is told by rock music's foremost biographer, with McCartney's consent and access to family members and close friends who have never spoken on the record before. 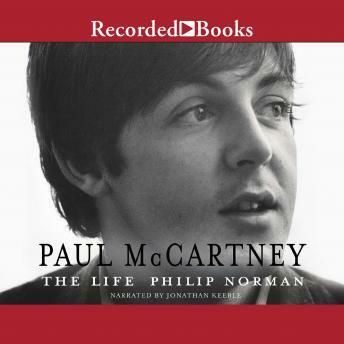 Paul McCartney: The Life reveals the complex character behind the facade and sheds new light on his childhood-blighted by his mother's death but redeemed by the father who introduced him to music. This is the first definitive account of Paul's often troubled partnership withJohn Lennon, his personal trauma after the Beatles' breakup, and his subsequent struggle to get back to the top with Wings-which nearly got him murdered in Africa and brought him nine days in a Tokyo jail. Readers will learn about his marriage to Linda, including their much-criticized musical collaboration, and a moving account of her death. Packed with new information and critical insights, Paul McCartney: The Life will be the definitive biography of a musical legend.